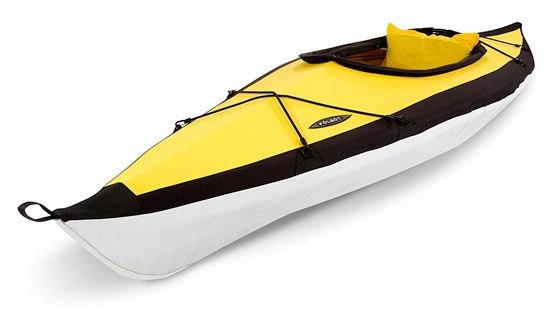 Kayaks were invented in the high Arctic thousands of years ago. They’re one of the oldest boat designs still in use; originally they were made of animal skins stretched over frames made from wood and bones. 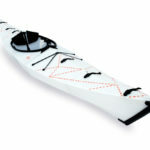 Folding kayaks combine the ancient traditional designs with modern technologies and materials. They are light and can travel in small packages with you. They can offer hours of fun on the beach. 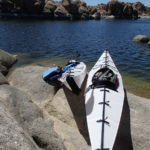 There are several companies that make folding kayaks. 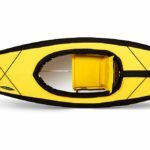 Folbot (http://www.folbot.com) and Oru Kayak (http://www.orukayak.com) are the most known. The later, funded by Kickstarter, produces only one model designed by the architect Anton Willis. 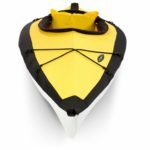 It is crafted from cut sheets of corrugated plastic using origami techniques.